The 20mph mascot competition was open to all pupils from primary one to seven, with Junior Road Safety Officers (JRSOs) promoting the competition to design and name a 20mph mascot in their school. There were 360 entries from 51 primary schools. The overall winner is eight-year-old Teo Edwin Gonzalez from Tollcross Primary School. 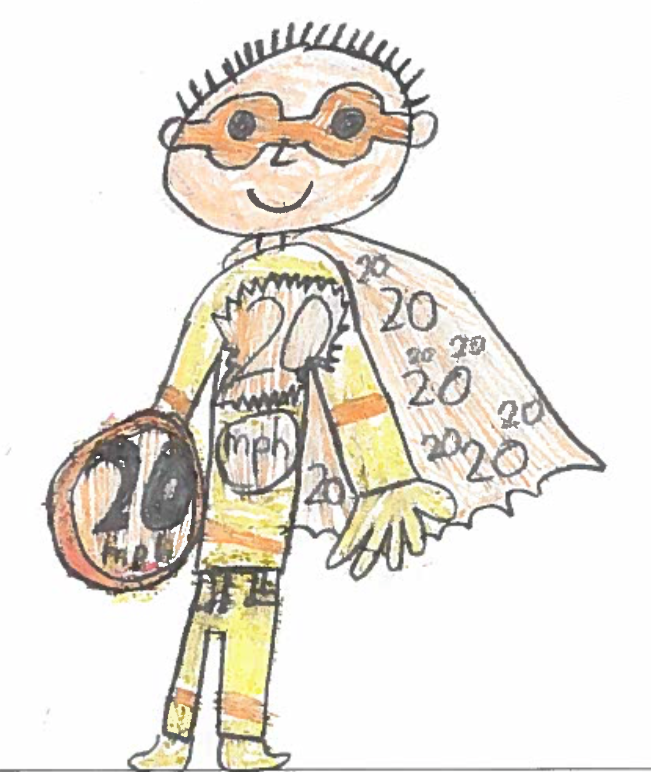 His superhero mascot ‘The Reducer’ has been made into a costume to promote the 20mph campaign and to assist with road safety education in schools.